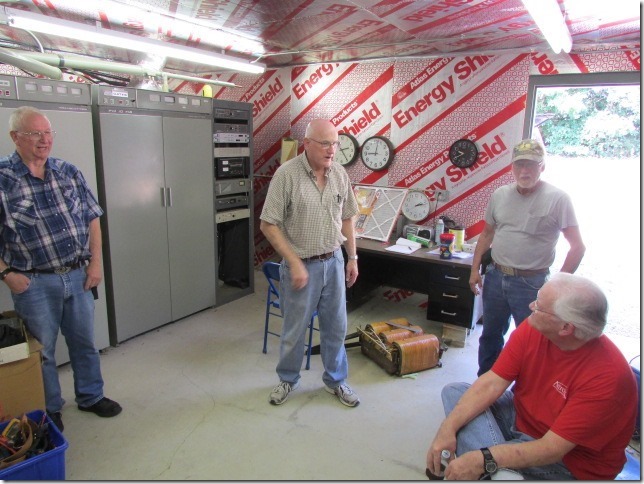 On Saturday, [July 25, 2015] several OzARC club members trekked up the hill to install the new Yaesu DR-1X "System Fusion" Digital Repeater. Those participating in the the upgrade were Ken K9DSJ, Phil KD5IV, Al WB0TVQ, Sunny WD0DZV and David K5DCM. 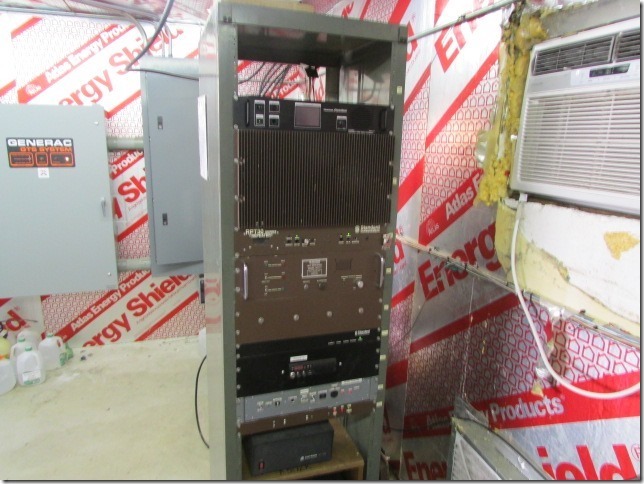 The original "Repeater Controller" is still there and functional, but the 146.88 radio equipment was disconnected, and left in place to be used if necessary as a backup radio system. The original "Repeater Controller" while still there and operational is not at this time interfaced with the new Yaesu repeater, therefore, messages and such from the controller will not be transmitted until such time as the original controller is inter-wired to the new Yaesu repeater. 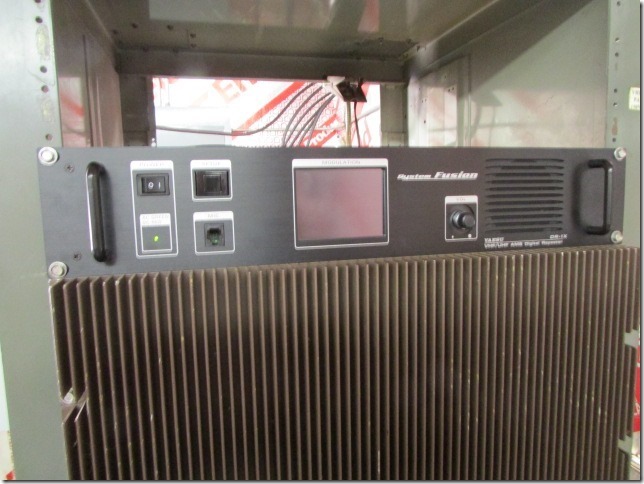 The Yaesu DR-1X repeater is using it's internal controller which is 'front panel configurable', allowing it to be set several different ways to use the Digital or [analog] FM modes of operation. Automatically select Digital Rx or FM Rx depending on the signal received. Automatically set to Digital Tx or FM Tx to match signal being received. 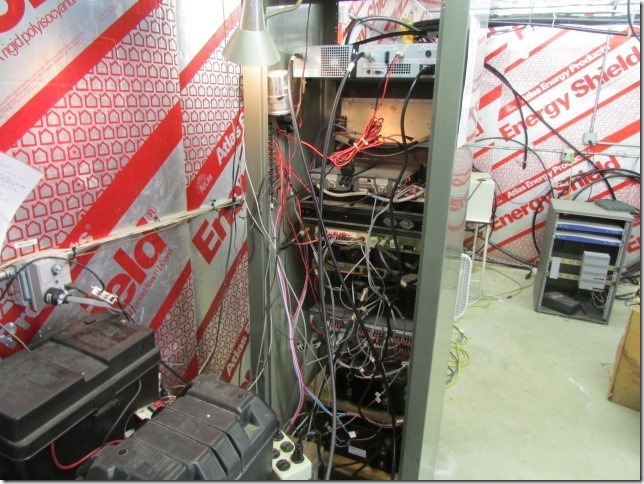 Transmit is set to retransmit all signals received to analog FM. Receives Digital signals only, ignoring analog FM signals, and Transmits Digital signals only. Receives analog FM signals only, ignoring Digital signals, and Transmits analog FM signals only. When the DR-1X was installed, it was set to operate AMS Receive and Fixed FM Transmit. This can be changes in the future as more operators opt to move to Digital radios with their many features beyond the capabilities of analog FM radios. 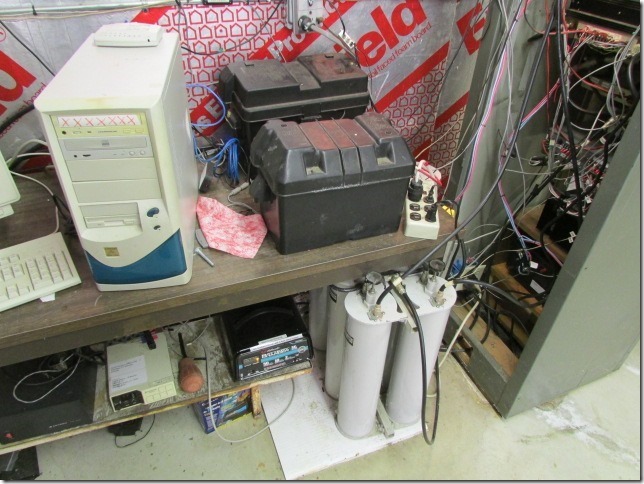 Included below are a few pictures taken after installing the new Yaesu DR-1X repeater. Thanks to Ken - K9DSJ for the photos.